Soak yourself in Spirituality at Jakar as it holds the honour of being the birth place of Buddhism and it is a storehouse of many religious sites. Jakar is a town located in the valley named Choekar. This valley is the most beautiful and you will surely be bewitched by the beauty it possesses. The valley has exotic sceneries like steep mountains covered with abundant greenery. Hence it is no wonder that this place is called ‘Little Switzerland'. This place is filled to the brim by spiritual places. It is the first place in Bhutan to have been visited by Guru Rinpoche. 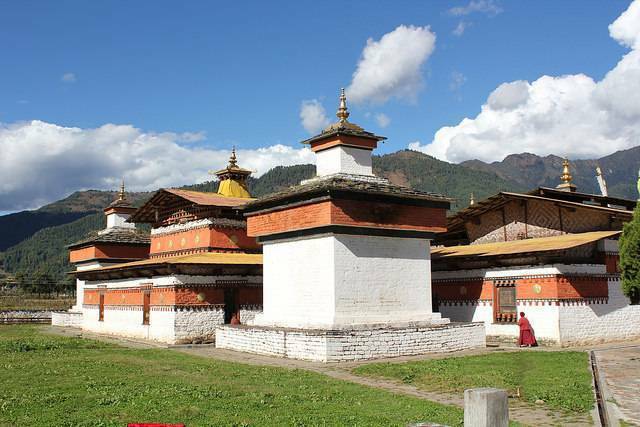 Of all the places, Kurjey Lhakhang, Jambey Lhakahang and Jakar dzong attract hordes. Jakar Dzong or The Castle of White Bird, built in 1549, is a fortress that defended the eastern Dzongkhags and is the seat of the first king. A singular feature of this Dzong is the 50metre high central tower.